When Christine and her partner Kevin decided to downsize they chose to design and tailor the perfect space to meet their new requirements. 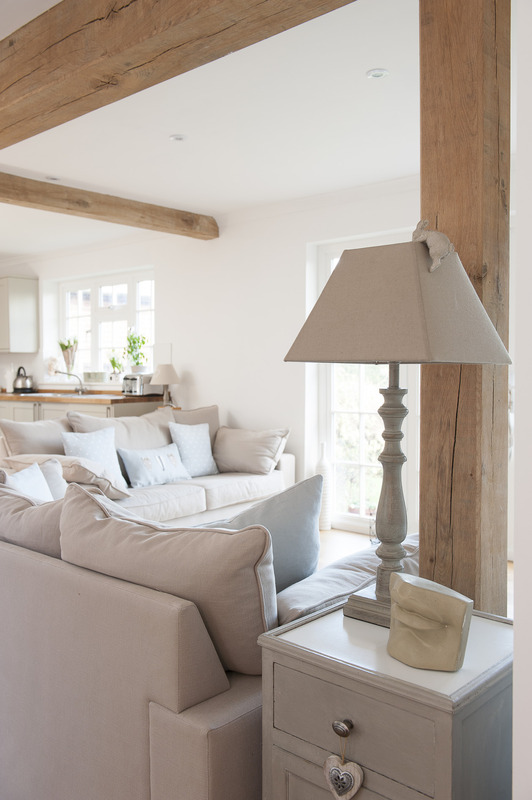 Through careful planning and a knack for maximising on space, they have transformed a small courtyard cottage from cramped and compartmentalised into stylish open-plan living. There is, of course, almost always an element of romance and excitement about moving into a new home. It’s an adventure, a chance to take a series of impersonal spaces and make them a home – and not only merely a home but your home. 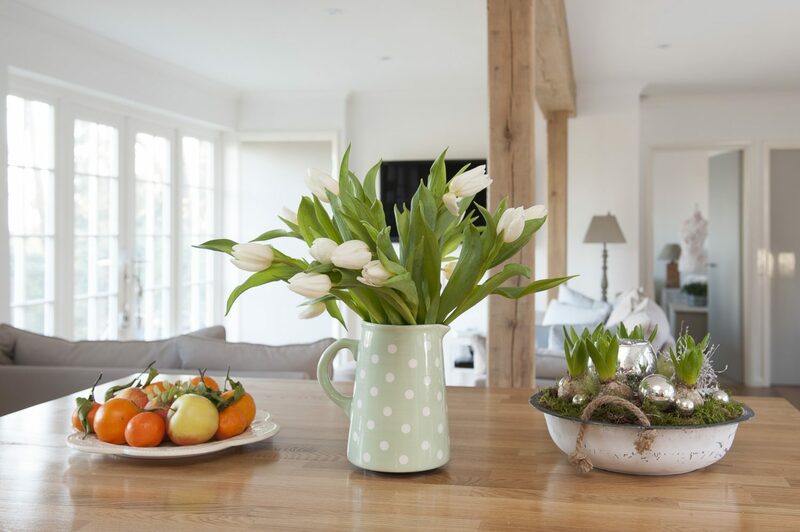 However, the truth is that most house moves in life are embarked upon for purely practical reasons and these reasons tend to be small, vociferous and, alas, totally absorbing. When all was said and done, very little but the desire for children would have winkled me out of my elegant penthouse on the edge of Clapham Common but I had to admit that small crawling people and roof terraces are not an ideal combination. The flat was exchanged for a house with a garden and this was exchanged for a bigger house with a bigger garden. A few years went by and we began to think in terms of schools and where we would like the children to grow up. This resulted in a move to a country cottage. For some reason, they continued to grow and we moved to a country house. Suddenly, they were teenagers and this resulted in a move to a country town. It has become difficult to think of us not so much as a family unit but a travelling circus. However, just around the corner is a time when every domestic decision will not revolve around progeny. A time when the personal rather than the practical begins again to play the key role in where and in what we decide to live. For Christine and Kevin, that blissful time has finally come. Not so long ago Chris lived in a three-storey Victorian family home in a wonderful location in Hastings looking down across West Hill, the Old Town and out to the sea. However, once her children had flown the nest, she and her partner Kevin yearned for a change of lifestyle and scenery. The couple looked at not only where they would like to be and the kind of house they would like to inhabit but how they would like to live this whole new chapter of their lives together. There was no set plan other than to explore and the most attractive option was North America. They decided that the first thing they would do would be to travel around the United States. Quite literally, travel around – they started in Chicago and then headed out to the eastern seaboard, down to Florida, along the south coast and out to California and then up the west coast to Seattle. Chris’s daughter and her partner had come with them this far but their next destination was Australia. So the couples parted company and Chris and Kevin moved on to Canada and travelled across the country from Vancouver to Toronto. After so long on the road, they finally decided their batteries needed a little re-charging and they headed south to the sun and the rather lovely beaches of Anguilla. “When it was time to come home, we found that the cheapest flight back to Europe was to Germany so we decided to head for Frankfurt and travel around France and Switzerland before coming home.” They finally ended up staying with good friends in their house in Bordeaux which, all in all, sounds a pretty perfect end to a globetrotting year. What they had found was a cottage that was half a converted coach house that encircled a courtyard accessed by a very pretty archway. The previous owner had lived there very happily for 40 years and not a great deal had been done in the way of updating during that time. It was certainly the project the couple had been looking for. The property was unlisted so Chris and Kevin had a relatively free hand and could allow their imaginations free rein. They decided they would forego the services of an architect and design their new home themselves calling on their builder for technical expertise. 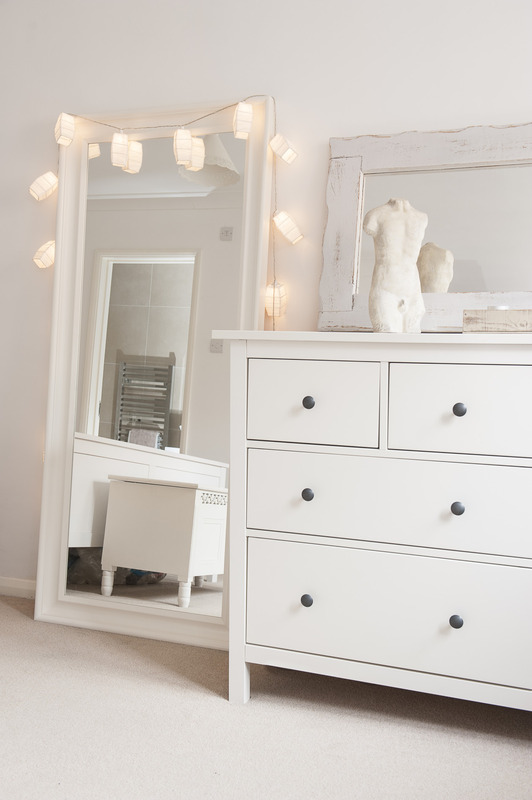 They also called on their iPad and their iPhone using a truly excellent and – unbelievably – free App called Room Planner which allowed them not only to move walls, units and furniture and but took them on 3D walks through their ideas. The couple had a strict but do-able budget and kept costs under control by sourcing as many of the materials as possible themselves. 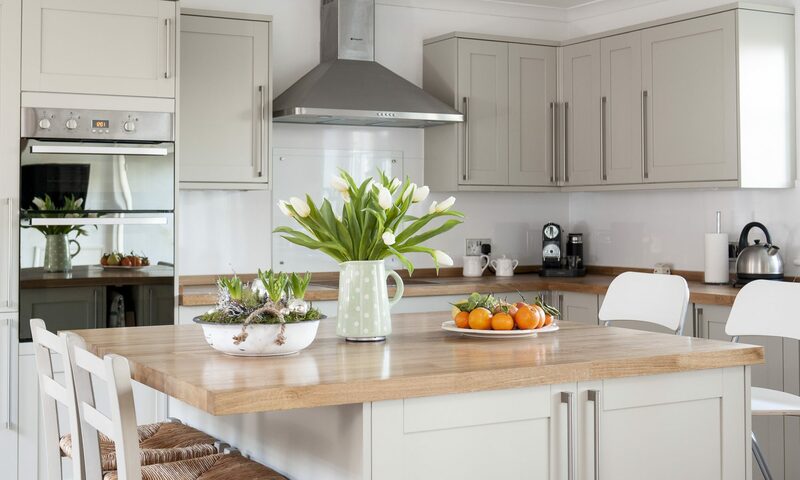 “We spent 24/7 on the internet getting the best prices,” says Chris, “and it was a real revelation – who would have thought that Boots would be the cheapest for things like cookers and fridges?” They also took on all the decorating. Work started in early April and came in on time and budget at the end of July. 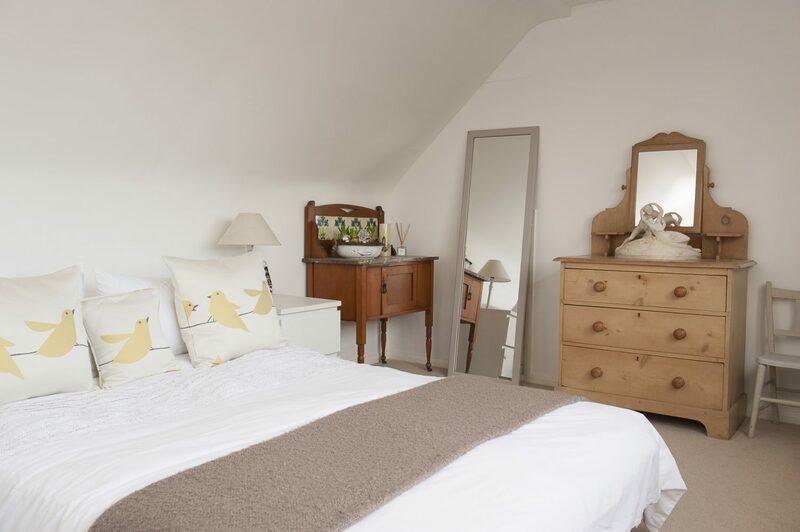 Originally, the cottage had consisted of four rooms and a bathroom downstairs and one upstairs room. 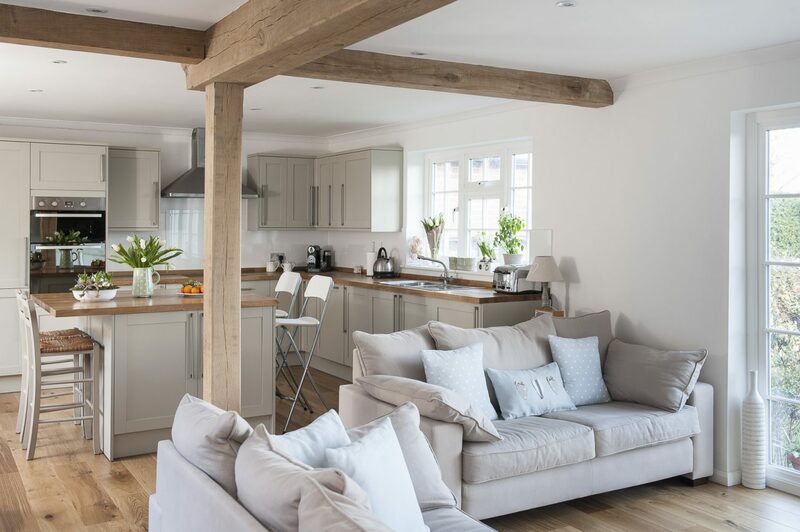 The couple decided that, in order to maximise on space, they would knock out the interior walls that formed the kitchen, sitting room and the passage between the two, adding in reclaimed oak timbers as supports, their warmth echoing that of the engineered oak floor that extends through both rooms. The result is a single large, bright space with access to the courtyard on one side and, on the other, via French windows, the garden. This dramatic space adds a serious wow factor to the whole conversion, not least of all because it is so unexpected in what is, after all, a modest-sized cottage. Neither Chris nor Kevin are fans of clutter or knick-knacks so the whole house has a distinctly minimalist feel. White and whiter shades of pale are the order of the day. Next to the sitting room is a discreet staircase – that leads up to a pretty, vaulted guest bedroom – and a study. 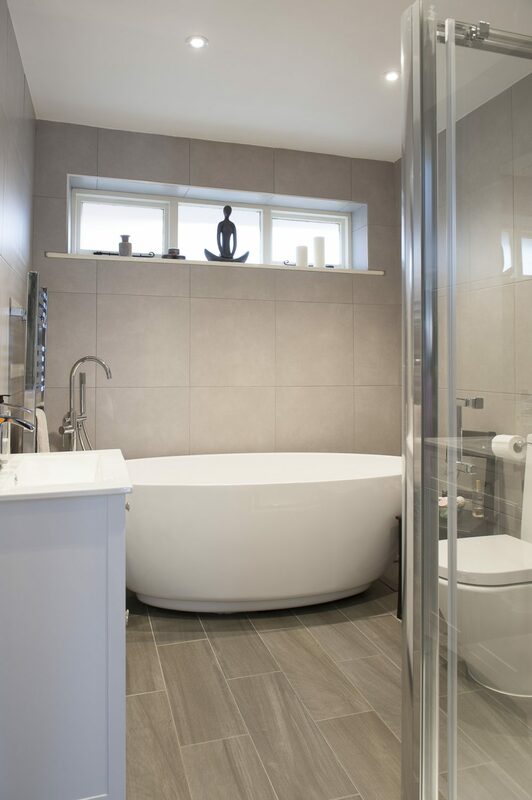 The dramatic main bathroom is in cool grey tiling and English ash flooring. 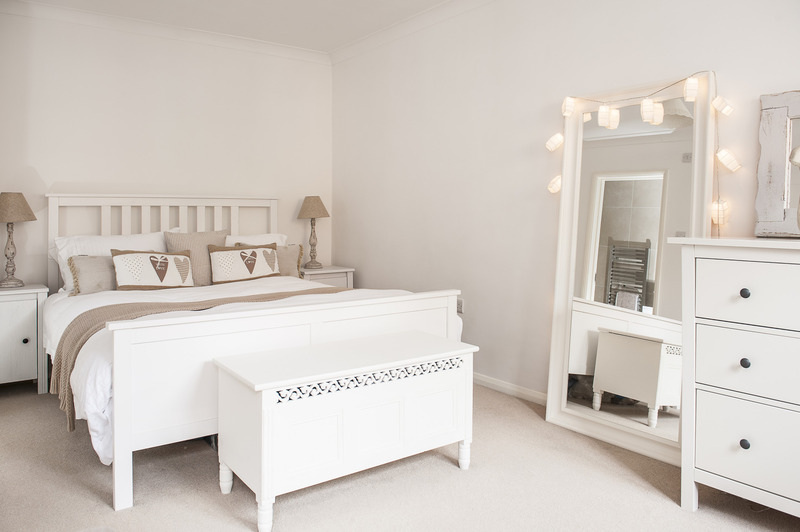 The master bedroom is a lovely blizzard of white with warmth provided by the Chris-made pale brown cushions on the bed and by the matching bedside lights. 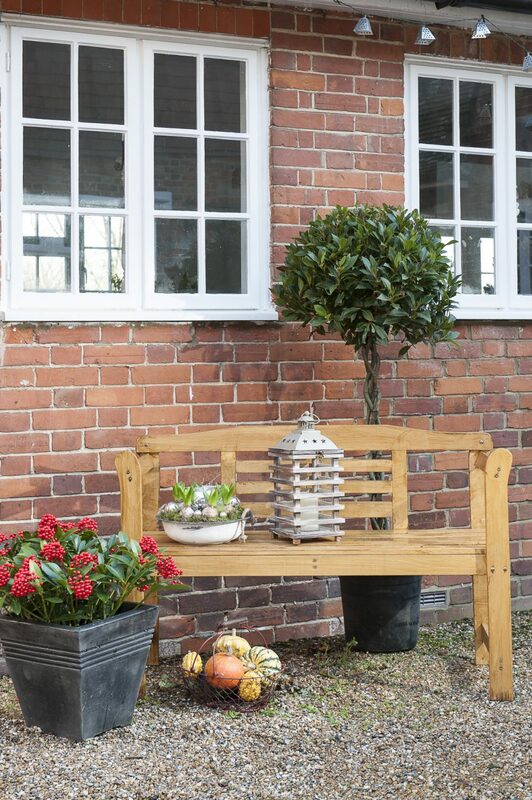 Against the wall is a boot fair mirror given the Annie Sloan treatment. En suite is a chic shower room with tiling in Sativa Bone from Tile Giant and a travertine mosaic. From being initially a little unsure of the property, Chris and Kevin are now delighted with their new home. “It’s everything we hoped it would be,” she says, “we absolutely love it.” And well they might. 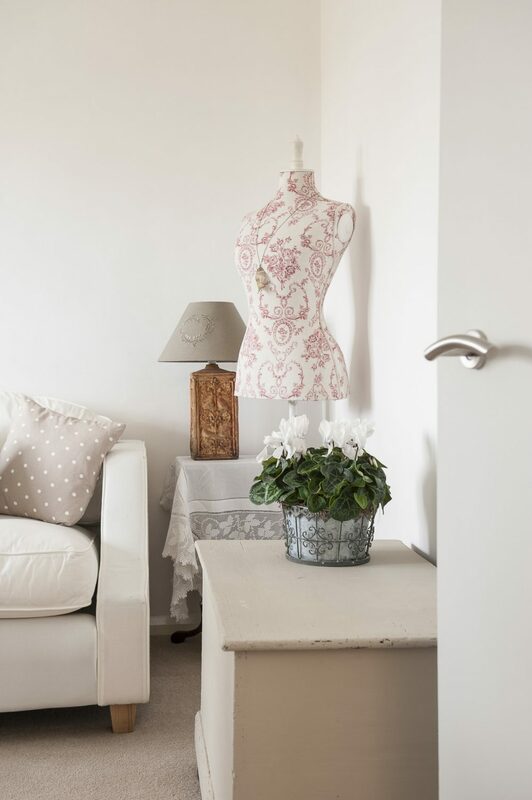 The cottage is a master class in how to take a modest space and transform it, almost magically, into an elegant, contemporary and welcoming home. This is a move and a home born not of the practical but the romantic and part of a larger adventure that may have begun in Chicago but is by no means anywhere near its end.